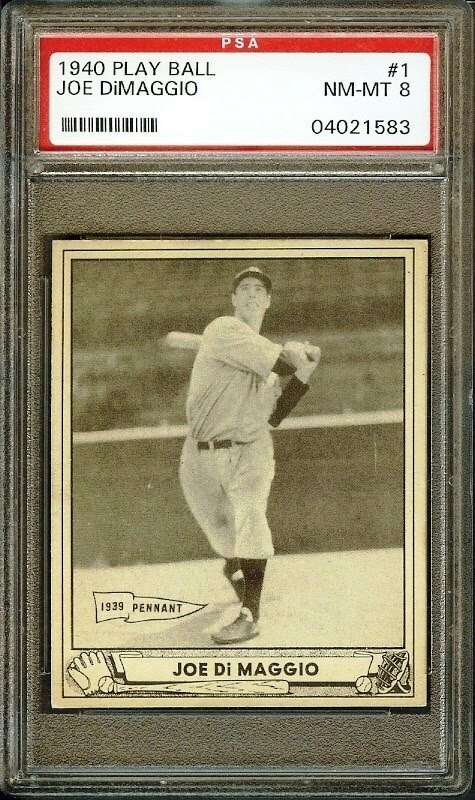 1940 Play Ball #1 Joe DiMaggio PSA 8 NM-MT!!! Currently for sale is a beautiful 1940 Play Ball #1 Joe DiMaggio PSA 8!!! This card is beautiful!!! Joe DiMaggio is one of the greatest all-time Yankees!! His 56 game hit streak and grace exemplify a truly great ballplayer.